She seemed to be feeling fine, and didn't have a fever.... so we passed the time watching Sofia the First and working on her pout. Thursday night she was restless and cranky and woke up around 9:00 p.m. Dave was working and so she sat like this, perfectly still, mean muggin' while I worked on lesson plans for at least an hour. Friday morning was the Jog-A-Thon for Lower School at MCA and so my whole crew headed up there to watch Luke and his classmates run. I took the day off to be able to watch Luke and then spend the rest of the day running some errands and getting caught up on stuff, but some of my students were hanging out at the Jog-A-Thon and were running up and down the hill with Mason - so sweet!!! And then Mason joined in! Do you see him waaaaaaaay over there???? Luke did AWESOME and had so much fun and they ended the race with a little pep talk/devotional from the principal. My Manda Strong shirt came on Thursday and I was EAGER to wear it! If you missed our initial order, we just opened up a second!!! Click HERE to purchase!!! And then it was time to pull our hair back and eat pizza! She woke up Saturday morning with more spots on her face and legs and she needed LOTS of snuggles. We can deal with that! Saturday morning I needed to run to the grocery store and Mason tagged along. Working full time, it's hard to get one-on-one time with the boys, especially Mason. Luke and I chit chat on the way to and from school, but RARELY do I have a moment with just Mason. We made silly faces and then headed to Kroger. He got to eat a fresh tortilla and push the little cart AND have my undivided attention... he was in heaven!!! Part of the great organizational day of 2014 was a big closet purge for Miss G. Which means a What Griffin Wore day is coming! I'll keep you posted, but I'm thinking Tuesday night. Also, something SUPER exciting is about to happen! 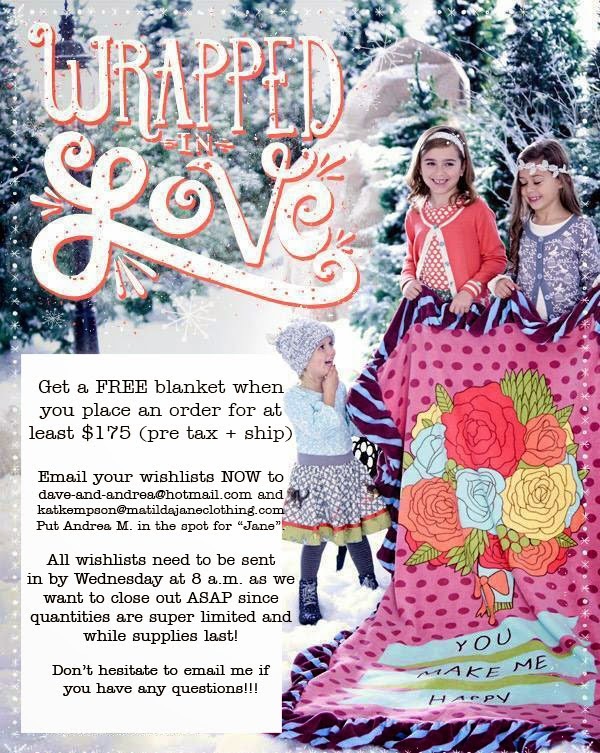 Matilda Jane announced a blanket promotion!!! Details are below... but just know that their blankets are THE best! Griffin's pink one from last year is fought over every day in our house and lots of you have asked how to get one... well, now's the chance! 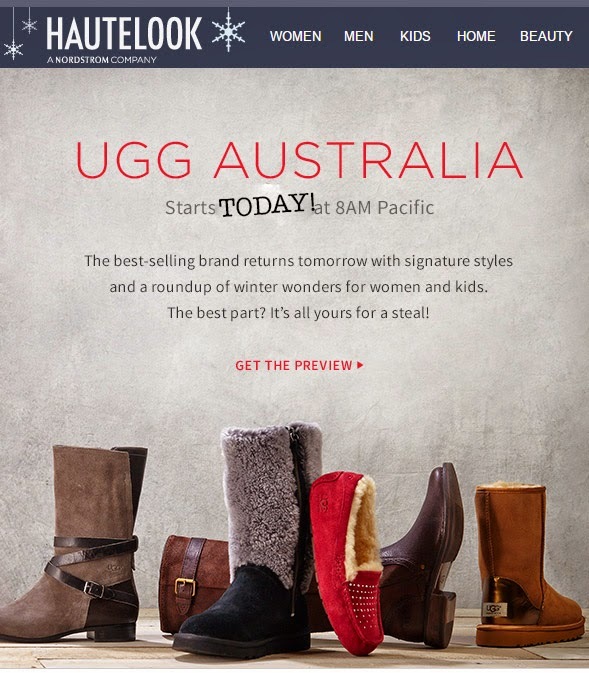 UGGs are on Hautelook today! Hurry hurry because they always sell out QUICK!!! Mason has so much sweet joy in his face during your one on one time. How precious! Hahaha - he's a riot :) And she's doing great! Thanks so much for asking!!! What a fun weekend ! It was great! Thanks, girly! Poor G! I hope she feels better really soon! And I put our Christmas sheets out on Sunday too!! I looooove doing that each year!! You know my girl - it takes A LOT to bring her down :) She's been a trooper! And YAY for Christmas sheets! Now just bring on the freezing temps! Hand foot and mouth is SUPER contagious! I LOVE Griffin's pigtails!!!! They are the best! She knows how to rock some piggies!!! Your mini's piggy....wow made my day again. My trainers baby had the hand and foot...the spots lasted about 10 days, but he was fine. Who knew it is so common? So glad she could make your day :) LOVE US some piggies! Where did you find those cute sheets? I need to find my girls some cozy flannel sheets. Its going to be cold this week in DFW! They're from Pottery Barn Kids! I love the pigtails, so adorable. My daughter has the same part, I try to part it right when she gets out of the bath...but it doesn't always work. Can't wait for the What Griffin Wore! I always miss it, but this time, I am on it! Glad she is feeling better, and that none of the other kids got the HFM! I hope your little starts to feel better, but she still looks super adorable even when sick! And is it bad that I want Christmas sheets for my bed?? I think I could talk my husband into it! And...myself and a couple of other bloggers are hosting a Christmas Cheer Exchange for bloggers and would love for you to join! If you get a chance you can check it out on my blog! We have plans to get a bigger bed in the near future, and you better believe that when we do there will be Christmas sheets on it STAT!!! I'll definitely check out your Christmas Cheer Exchange! Sounds fun!!! Poor baby girl :( I Hope things are clearing up for GG now! I hated when Xavier had it last year. And now I want to order those sheets for me, I mean Xavier! lol! Hope the HFM disease is gone for good! My laundry room is nothing impressive or even cute, but I'm excited to see everyone elses spaces!!! Love Griffin's piggies! 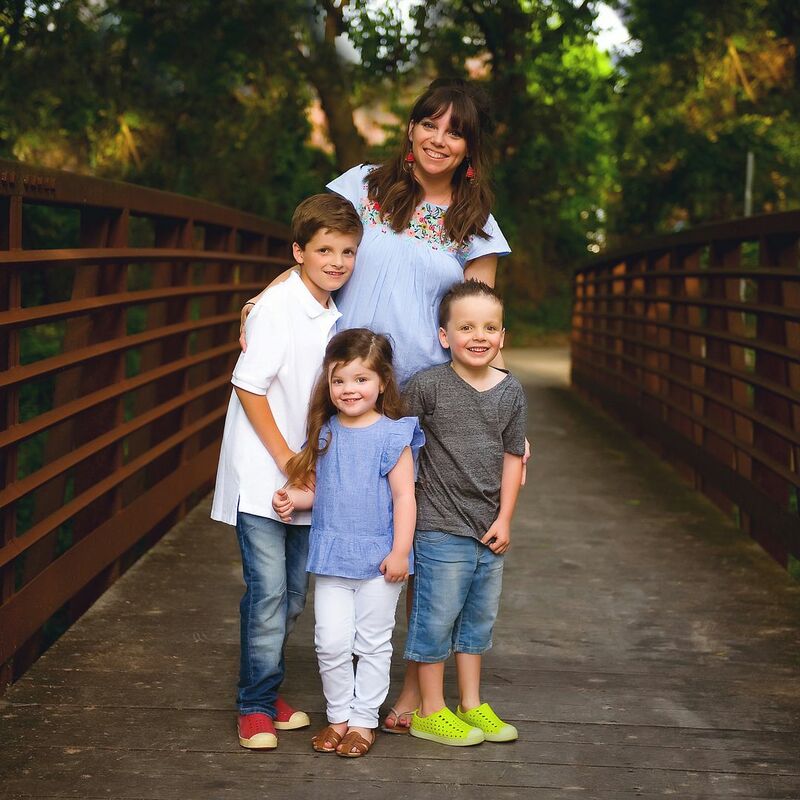 My girls all had HFM- once they're over the fever and have the sores, they're not contagious anymore- don't blame you at all for taking her out and trying to enjoy some family time!